My kids and husband were gone at various activities tonight, which means I was home alone. This never happens. Ever. My afternoons are usually spent solo, but those are work hours, so I’m usually focused on whatever task is at hand. Having a few evening hours to myself was positively intoxicating. What to do? Cooking Channel (Unique Sweets marathon) and my laptop beckoned. I’d had supper before the family left, but watching shows devoted to dessert left me no other option than to have dessert myself. Since it was just me, I was tempted to grab a box of Girl Scout cookies or an IKEA chocolate bar from the cupboard. But then I remembered advice I’d once gotten about treating yourself as well as you’d treat a loved one. Would I hand my daughter a box of Thin Mints and tell her to go at it? That in mind, I sliced a (healthy-size) wedge of Sticky Toffee Pudding onto a crystal plate. 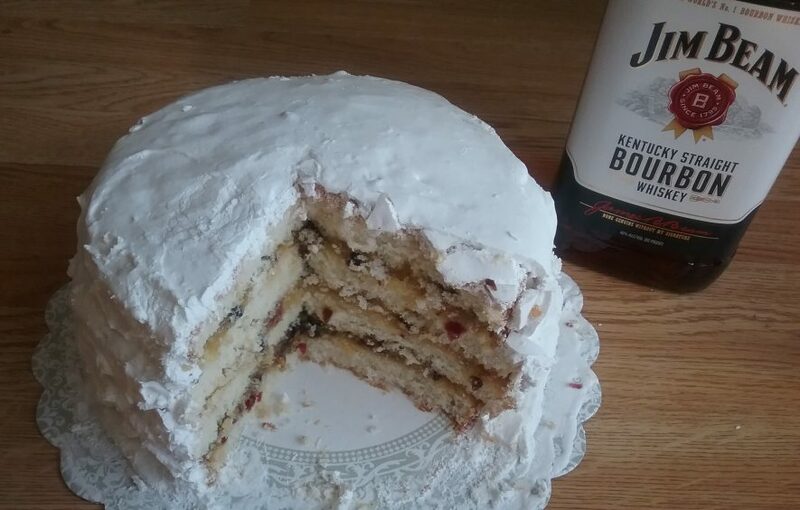 (Had made the cake over the weekend after receiving a surprise gift of fresh dates in the mail.) 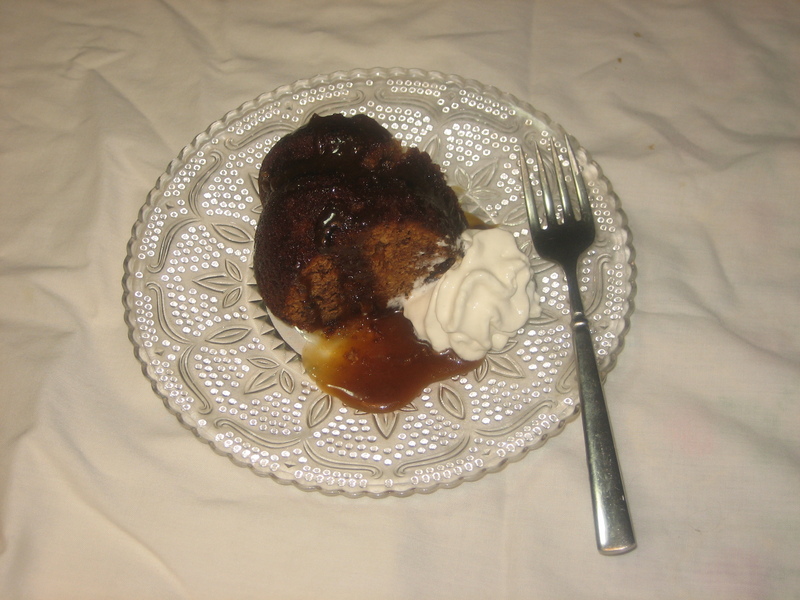 I drizzled warm Brandy Caramel Sauce over the date-studded cake and finished it off with a shot of whipped cream from my cream whipper. (I love my cream whipper.) It was a lovely and satisfying treat on so many levels. I don’t imagine I’ll be Home Alone again anytime soon, but the next time it happens, I’ll know to take out the crystal plate and top it with something spectacular. Just for me. Sticky Toffee Pudding for one! this just looks AMAZINGLY scrumptious! gonna add this to my list of desserts I need to make.